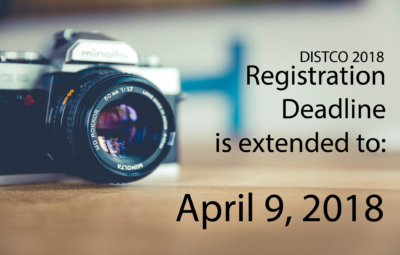 DISTCO Submission deadline is extended to April 20, 2018. 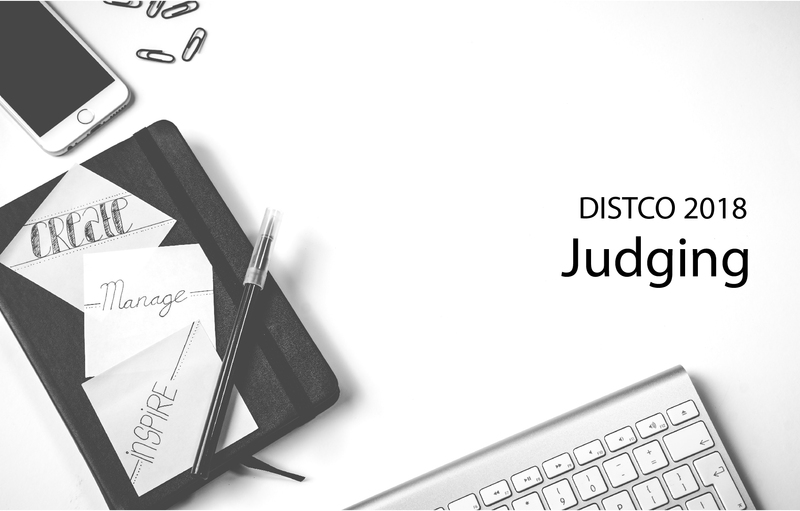 If you already completed Step 1-4, now you can start your submission by completing Step 5. 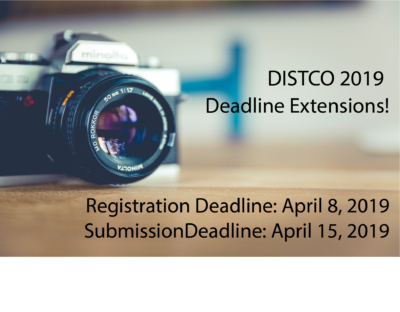 Please visit http://www.distco.org/submissions for details. All Digital Stories are due on April 20, 2018. 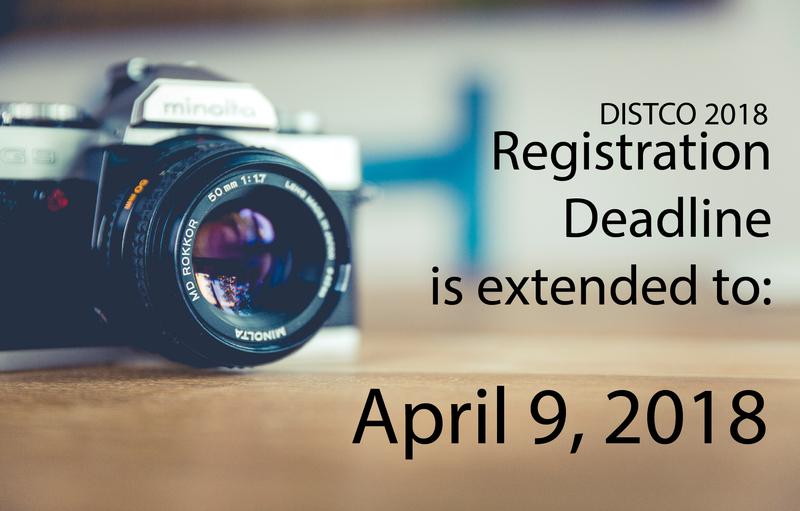 DISTCO Registration and Pre-Survey deadline (Step 1 & Step 2) is extended to April 9, 2018. If you already completed Step 1 and Step 2, now you can start your submission by completing Step 4 and 5. Please visit http://www.distco.org/submissions for details. 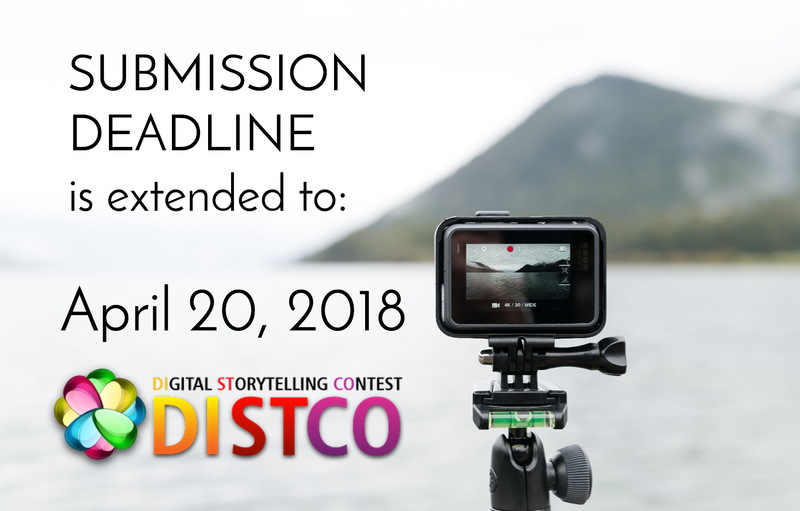 All Digital Stories are due on April 15, 2018.